Copper and Galv Steel Repair Clamps - CASCADE PLC - The new home of Cascade Clamps UK Ltd, Suppliers and Manufacturers of pipe fittings to the water & gas industry. 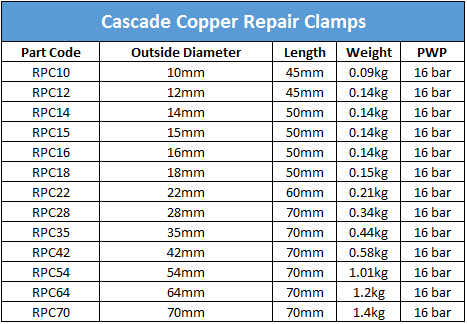 Cascade Copper and Galv/Steel Repair Clamps are simple and easy to use, great for use in commercial properties and hospitals due to there size and easy installation. They can be used indoors, underground and for agricultural purposes. 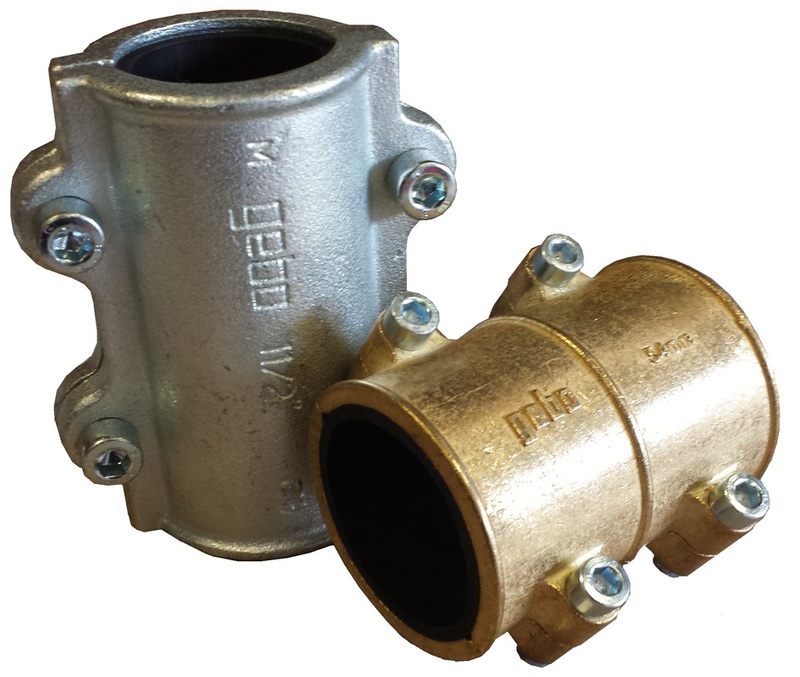 These fittings are also suitable for heating lines as there Gasket can be re-fitted with a VITON gasket to suit temperatures to 230 degrees C.
Solid construction means that they have a long life span. Easy to install thanks to the Hex Key bolt system. Can withstand 90 degrees C. as standard. 230 degrees C with VITON (on request). 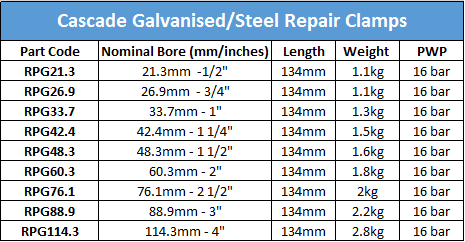 For downloadable content please see our Galv/Steel Repair Clamp Brochure Below. For downloadable content please see our Copper Repair Clamp Brochure below.